Women With The Lid Off! I was listening to radio discussion recently when I just had to chortle out loud. 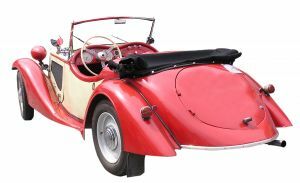 The discussion was about convertible cars and it seems that they are most often bought and driven by women over 50! In the spirit of disclosure I had better own up to being a woman over 50, who was driving her red convertible car while listening to the radio! However, I obviously buck the trend as I was 49 and a quarter when I bought mine….. I listened to the discussion with obvious interest. It wasn’t a deep discussion and had a light hearted touch, but one comment struck me. Asked why she had a convertible, one woman replied that buying it was symbolic of her having reached an age when she could do things just for herself. And I very much identified with that. Like all the women on the panel, I had never bothered much about cars at all; they were utilitarian objects chosen because of their price, carrying capacity and ability to fit child seats in easily! And suddenly, it seemed, I found myself with a daughter who has her own car, a son away at University, and my husband who drove (still does) a wreck of an estate into which anything will fit! For the first time in my life I had no restrictions at all. I could afford the car I wanted and the insurance! So maybe buying my car was a little act of middle aged defiance? Maybe, I was saying this is me, roof off, hair going crazy, independent me! What has been your best or most enjoyable ‘act of defiance’? PS Car in picture is NOT mine. Mine has a button to open the roof!